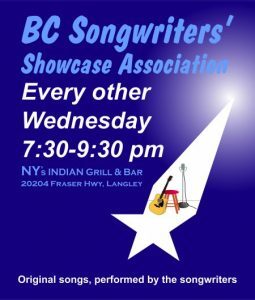 Wednesday, September 30th, our Songwriter Showcase Feature Performer is JD Miner and the Panhandlers. They’ll be playing from 730pm – 830pm. Everyone else (on the sign-up sheet) will honour us with up to 2 original tunes each during the following hour. 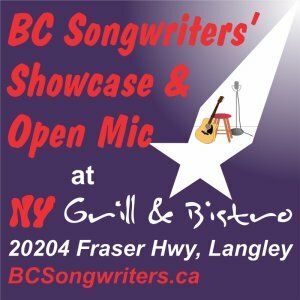 The BC Songwriters’ Showcase Association hold their Songwriter Showcase & Open Mic, at NY Grill & Bistro – 20204 Fraser Hwy, Langley.